With unmatched wear resistant and a high polished finish for extreme pressure pumping of various fluids and gasses, our high pressure plungers will increase your pump’s internal life cycle. Hydro Carbide helps the rotary tool manufacturers and die makers increase productivity and their profit margins by producing a wide variety of standard and special components like our high pressure pump plungers. We can supply component blanks in most popular grades either unground or utility ground. 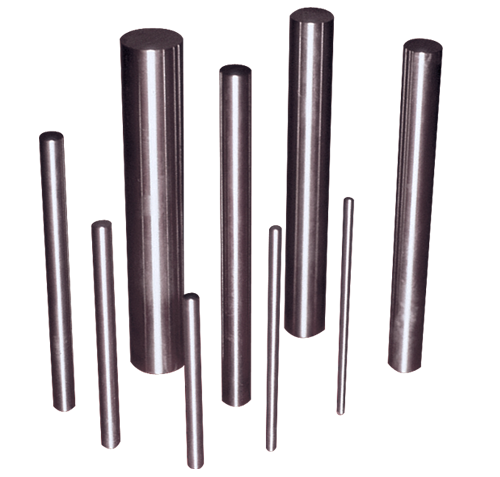 Hydro Carbide can also provide you with components precision ground to your exact specifications. Hydro Carbide has the most efficient centerless grinding and measurement system available. Our equipment consistently maintains .0003 inch tolerance while sophisticated laser measurement technology guarantees parts are produced within strict control limits. SPC reporting is done automatically as parts are produced. These are just some of the many ways Hydro Carbide assists our customers be more competitive in the market place. Wherever wear is a problem, in mining, metal forming/production, gas and oil transmission, Hydro Carbide products are providing solutions to costly wear problems.